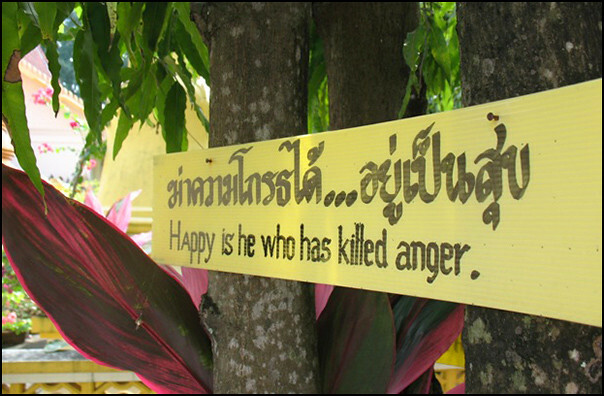 I keep heading back to Phuket Town to explore different areas. 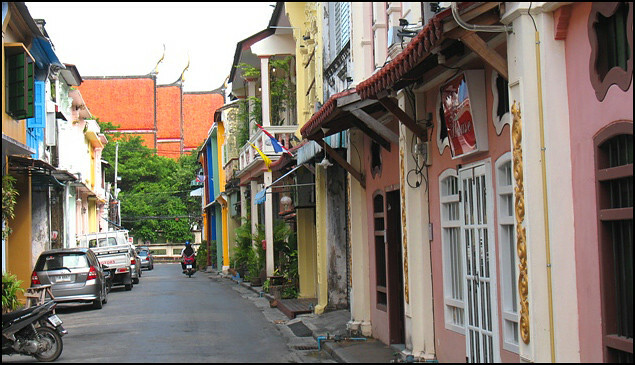 I find the town fascinating - you can get a totally different perspective on Phuket by walking around the town. This is where real life goes on. It's completely different to the main tourist beaches. I recommend everyone spend a few hours wandering around the old town, check out some markets, temples, small restaurants, old Chinese shops and maybe you can get a taste of Thailand that is not available on the beach. 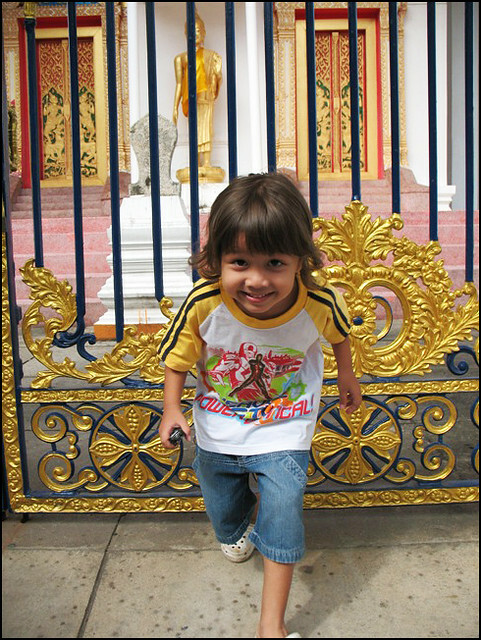 Today I took my 3 year old son for a walk around town, I wanted to visit Wat Mongkhon Nimit (sometimes called Phutta Mongkhon Nimit) and promised the boy to buy him some new shoes in town later. The temple is just on the north edge of the "old town". 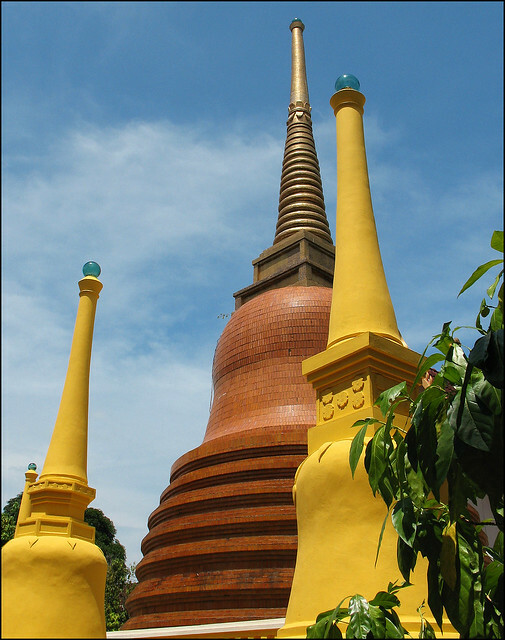 If you walk up the narrow Soi Romanee from Thalang Road you can see the temple which is on Dibuk Road. 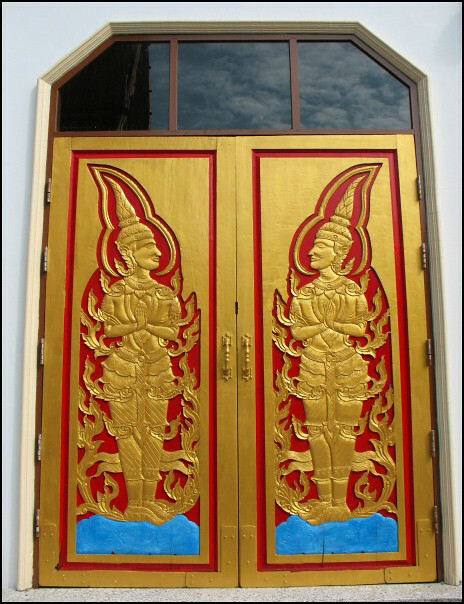 The main temple was locked today.. guess that means I have to go back to look inside another day. 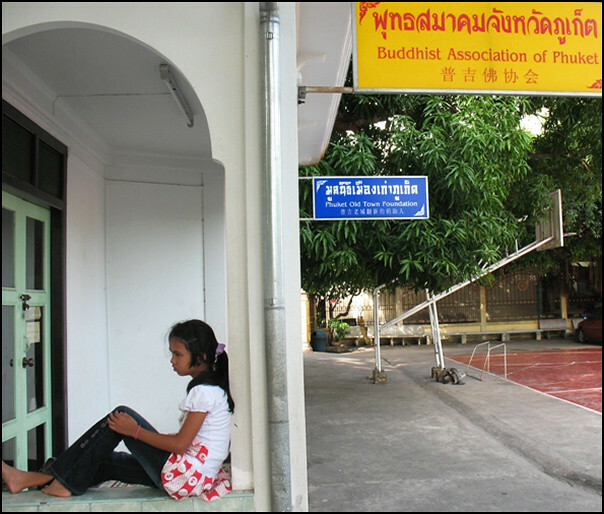 Just inside the entrance is a school and the HQ for the Phuket Buddhist Association and also the Phuket Old Town Foundation. 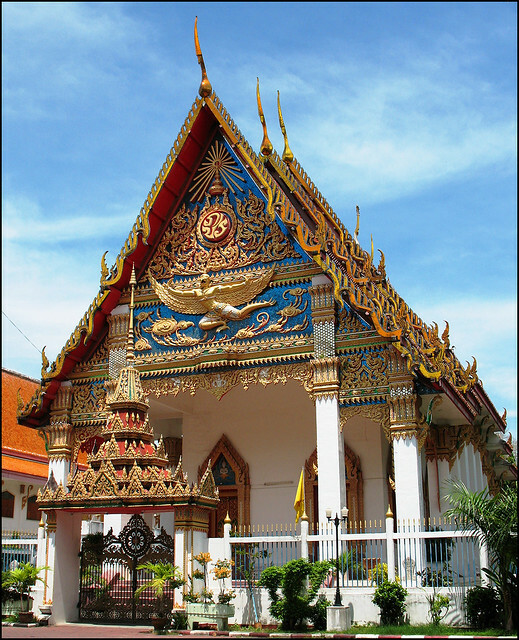 As with many of the local temples in Phuket, certainly worth a few minutes of your time if you happen to be looking around the town. 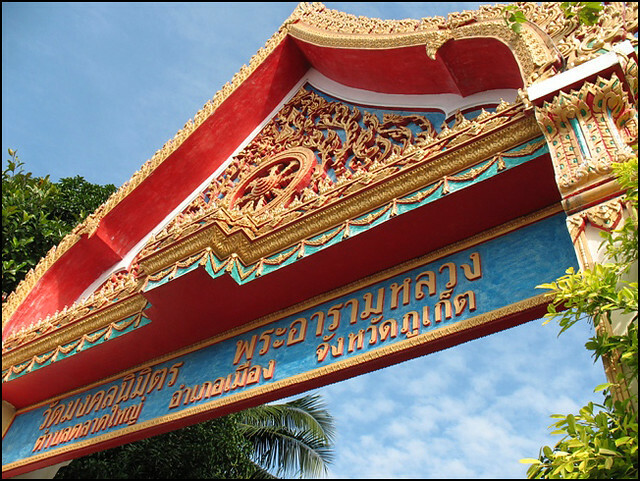 Phuket is full of temples - I am trying to blog them all - see Phuket Temples - many tourists end up at Chalong temple (largest in Phuket) but I reckon most of the smaller temples don't see too many foreign visitors. My boy certainly enjoyed his visit.. and we did go and buy him some new shoes.